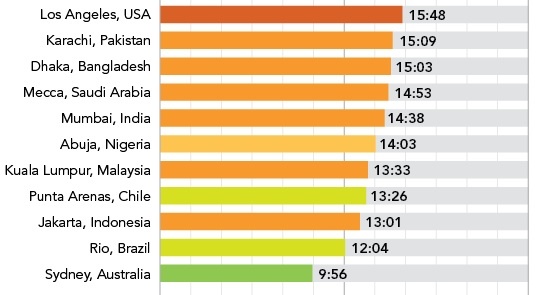 With daylight hours varying enormously around the world, Huffington Post has created an infographic that shows the different fasting hours for various countries. The results? 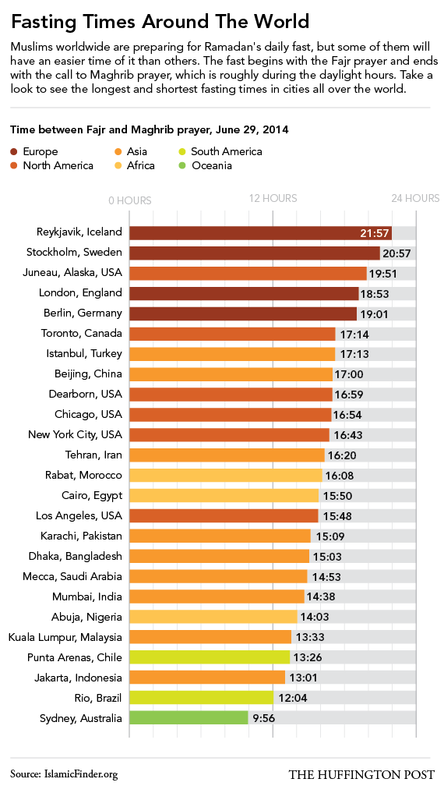 Reykjavik in Iceland is shown as the place where Muslims fast the longest, with daylight lasting almost 22 hours per day. The shortest fasting hours, meanwhile, are found in Sydney, Australia, where the time between Fajr and Maghrib prayer lasts for just under 10 hours per day. Kuala Lumpur is not too far behind Sydney, at 13 hours and 33 minutes. For the exact times for sunrise and sunset in Malaysia, Islamic Finder has a schedule for different parts of the country.